The smoothness of fresh cream and the sweetness of condensed milk blend together to make this candy. When you put one in your mouth, the rich and invigorating flavor will captivate you taste buds. 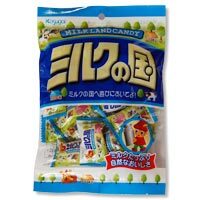 Once you have experienced the taste of this delicious candy, you will never forget it.